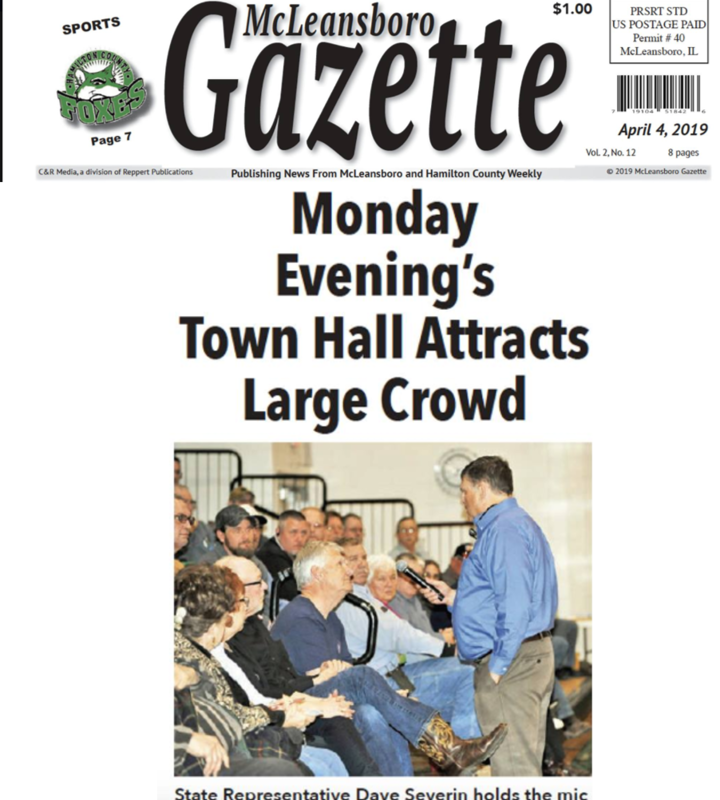 I was glad to begin the week with more than 150 residents of McLeansboro and the surrounding Hamilton County area for a legislative update and Town Hall meeting this past Monday April 1. 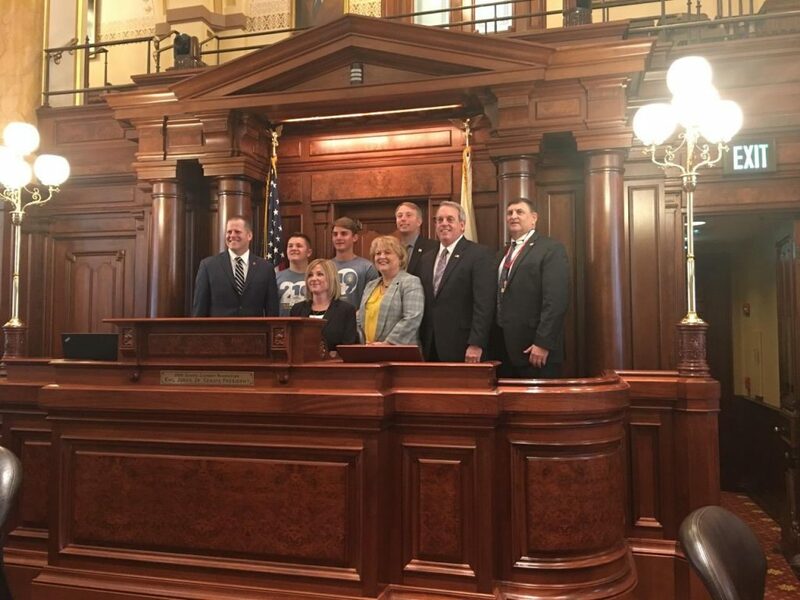 I joined Senator Dale Fowler and State Rep. Dave Severin, along with Richard Pearson, the executive director of the Illinois State Rifle Association for the event at Hamilton County Jr./Sr. High School. 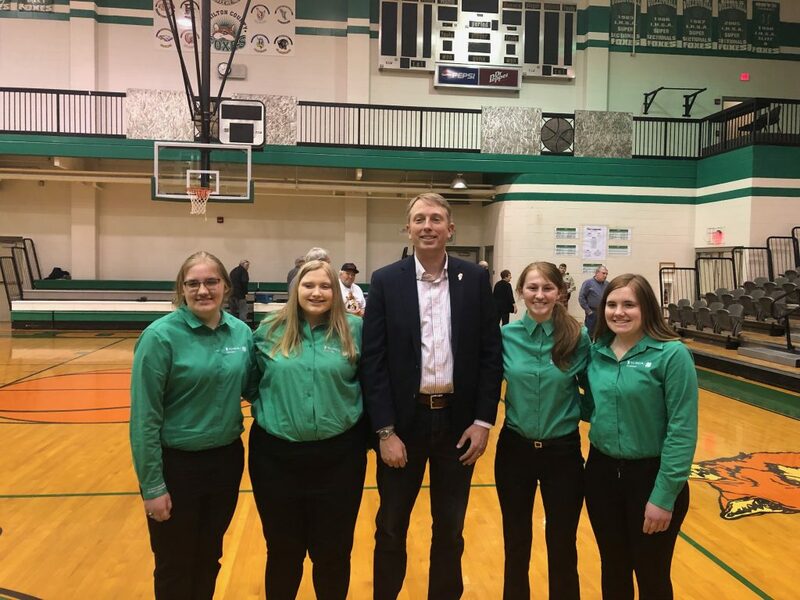 I want to thank the school’s administration and maintenance and technical support crews for their hospitality and for helping us put on an informative and interactive event. I’ve got pictures from the town hall and news coverage as well for you later on. This week’s legislative Session ended with the passage of several bills, some controversial, and some not so. Let’s take a look. I mentioned that there were some controversial topics that were addressed this week. Let’s take a look at HB 2665, for instance. The legislation as drafted would lower the age of consent for medical treatment and preventative sexual health care to 12 years old. The sponsor of the bill admitted under questioning that bill would allow children as young as 12 years old to consult with a physician and be prescribed contraceptives and even HIV preventative medicines. I believe that there is a great need for children that are as young as 12 years old to be in consultation with a parent or guardian prior to any medical treatment. There are serious questions as to the mental and emotional development, judgment and health education in children. I disagreed wholeheartedly with the bill, and I joined 47 of my colleagues in voting NO. The bill still advanced through the House with 62 yes votes and 48 NOs. To that end, I would invite you to take a look at how to file a witness slip to voice your opinion on matters that come before the legislature. Below is a helpful, ‘one-pager’ that explains the process. Have your voice heard! 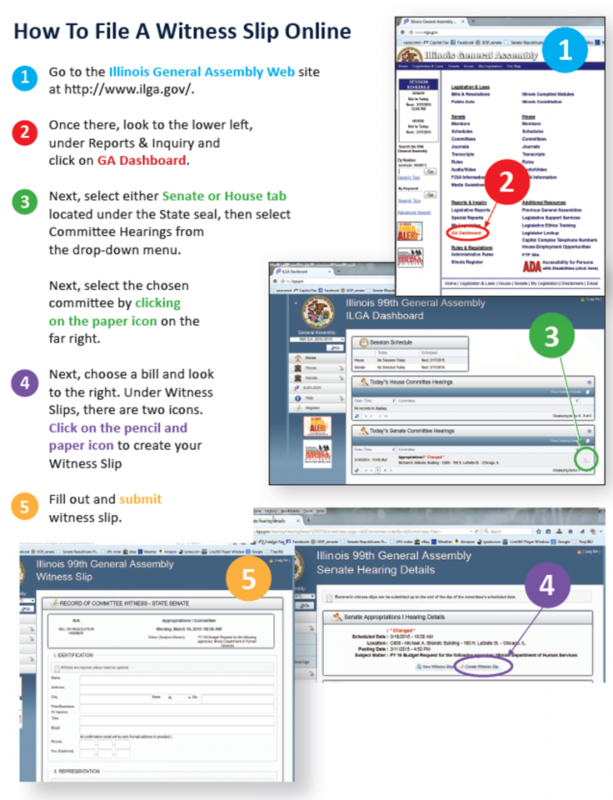 How to file a witness slip online. 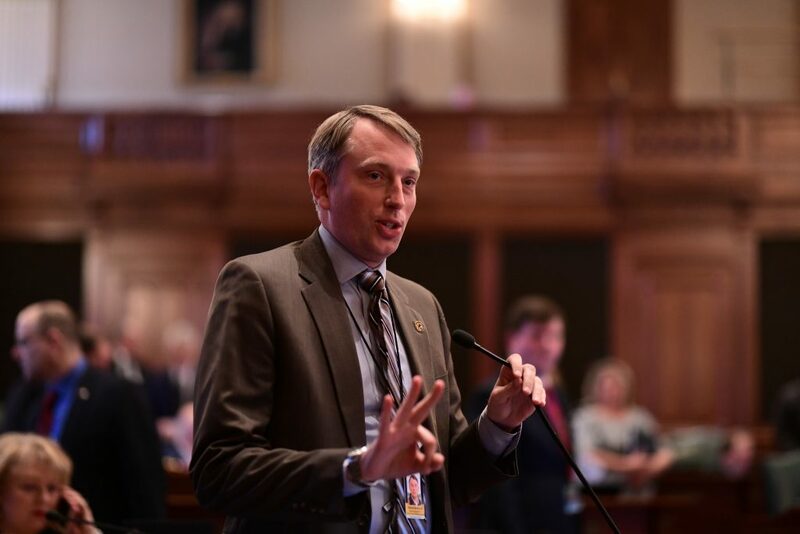 Springfield….State Representative Patrick Windhorst (R-Metropolis) continued his efforts to find ways to grow jobs and improve the economy of Southern Illinois on Tuesday. Windhorst’s 118th district is home to several counties that continuously struggle with some of the highest unemployment rates in the State. Windhorst says his Resolution (HJR 37) creates a Task Force on Rural Development to study how best to revitalize the Southern Illinois economy. Appointments to the Rural Development Task Force will made by both the House and Senate Majority and Minority Leaders. Additional members of the task force are to be appointed by the Governor, the Director of the Illinois Department of Agriculture, and the Director of the Department of Commerce and Economic Opportunity. Traveling Office Hours Coming up in the 118th! Harrisburg…. In the continuation of efforts to develop a high level of communication and access between his office and the people that reside in his district, State Rep. Patrick Windhorst (R-Metropolis) today announced the launch of a “Satellite Office Hours Program” that he plans to continue throughout his time in office. 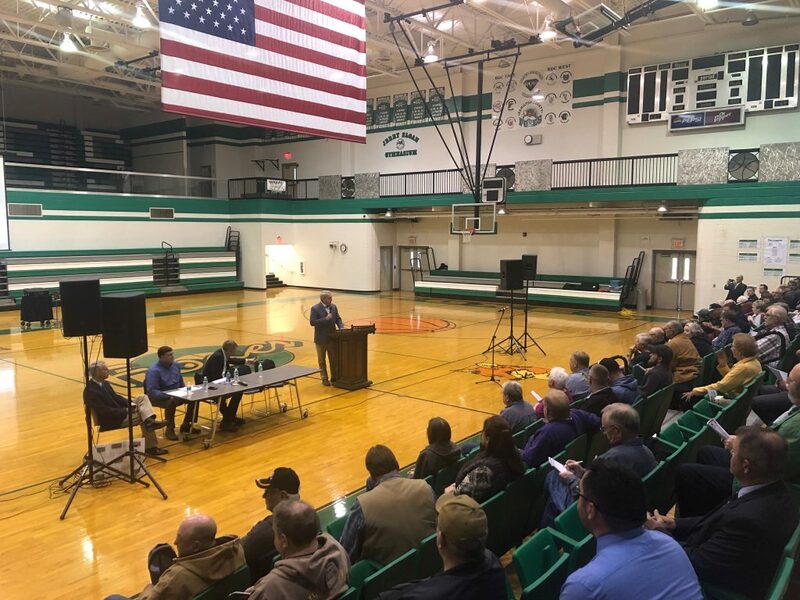 The program consists of an ongoing joint effort between Rep. Patrick Windhorst, local officials, and stakeholders throughout the district to set up office hours open to the public in every part of the 118th District. 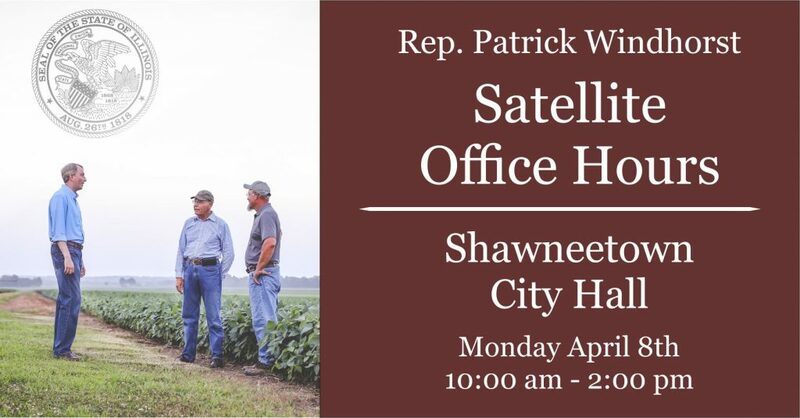 Windhorst’s first satellite office hours will be held in Shawneetown’s City Hall on Monday, April 8th, from 10:00 a.m. – 2:00 p.m. Local residents are encouraged to stop by to discuss any matters they would like. Upcoming confirmed locations include Vienna on April 24th and Golconda on May 6th (additional details to be provided) , with many more locations to be added in the future. Any questions regarding the “Satellite Office Program” may be directed to Rep. Windhorst’s district office in Harrisburg – (618) 294-8703. 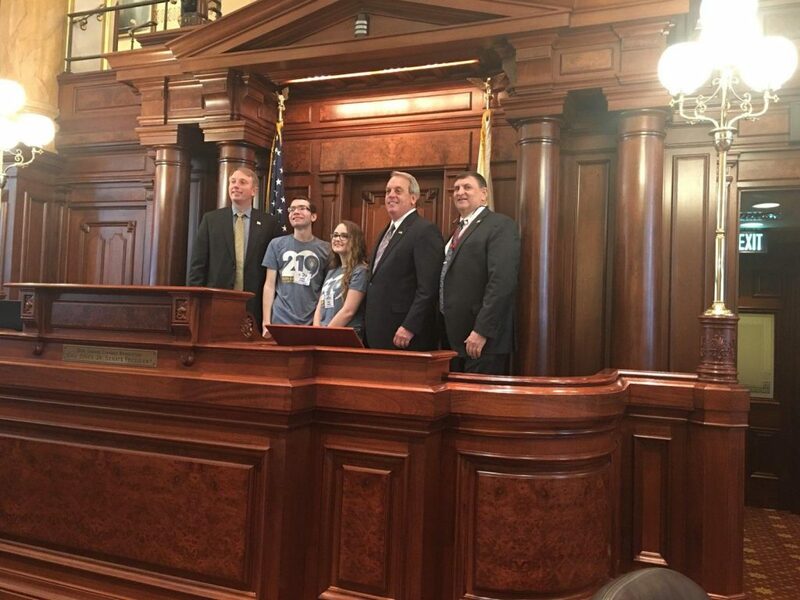 Photos – Town Hall, Visitors to Springfield, and more! As I reported to you last week, much remains to be decided before the May 31st adjournment deadline. 1. The Governor’s proposed constitutional Amendment to institute a progressive income tax. 2. Dealing with the Governor’s proposals to raise taxes on plastic bags, insurance plans, online betting, e-cigarettes, and cigarettes. 3. Legislation to legalize/not legalize cannabis for adult recreational use. 4. A capital infrastructure plan to rebuild crumbling roads, bridges, schools, and water treatment facilities across the State. 5. Passing a balanced budget that spends more than 36.5 billion dollars.